Outdoor Lighting Perspectives is the world’s original and largest full service custom outdoor lighting company. Artfully designed to create warm glows of energy-efficient light to illuminate and beautify the exterior and landscapes surrounding your home, Outdoor Lighting Perspectives can also service or upgrade any outdoor lighting system. Around the globe 100,000 homes now feature stunning Outdoor Lighting Perspectives outdoor lighting systems for a wide variety of applications, such as architectural lighting; garden lighting; landscape lighting; underwater, fountain and pool lighting; patio and deck lighting; driveway lighting; walkway lighting and much more. Outdoor Lighting Perspectives has worked hard to earn our stellar reputation for uncompromising professionalism, unparalleled service and exquisite lighting design. We are extremely proud of our responsiveness and attention to detail. Not only will we arrive when promised, we will exceed your expectations. We’ll leave your outdoor areas looking even tidier than we found them. And, of course, you’ll enjoy a beautifully lit home and grounds that are safer for your family and more inviting for lingering outdoors long into the evening. 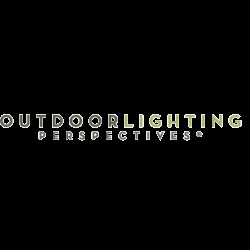 Outdoor Lighting Perspectives is a local-owner-run business organization with locations across major cities throughout the United States, and as far as Canada, and Kuwait (so you know our fixtures can take both the cold and the heat). Outdoor Lighting Perspectives was the first company in the world to create a franchise network of outdoor lighting specialists, and today we remain the largest. By offering franchises, we ensure that our customers always deal directly with local business owners fully invested in their satisfaction and fully familiarized with illuminating the local and regional architectural styles.